All our plants will be available for shipping starting in May 2018! The following culinary plants will be availablefor pre-ordering. We will be adding more plants as we get closer to spring. The aromatic leaves of this plant are used to flavor many Indian dishes much like bay leaves, especially in curries with fish or coconut milk. The original Indian word "Kari" refers to the sauce of these piquant dishes, hence the name curry leaf. 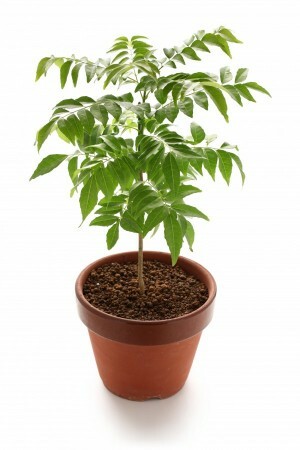 Curry leaves are extensively used in Southern India and Sri Lanka, but are also of some importance in Northern India. Together with South Indian immigrants, curry leaves reached Malaysia, South Africa and Réunion island. An easy to raise plant, that needs full sun, grows to 1-3 feet in containers, minimum temperature 55°, blooms in summer. Use a soil mix consisting of 1 part peat moss to 2 parts loam to 1 part sand or perlite. The soil should be allowed to thoroughly dry between waterings. The plant should be moved indoors during the winter months except in Southern Florida. Water sparingly during the winter months and do not fertilize during these months. YOU MAY PREORDER A CURRY LEAF PLANT NOW AND IT WILL BE SHIPPED IN LATE APRIL TO MID-MAY. 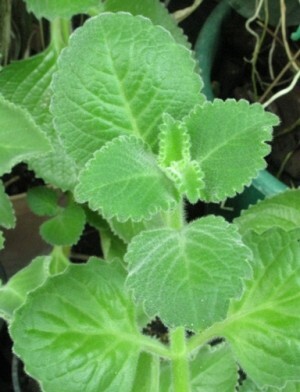 A tender fleshy perennial plant in the family Lamiaceae with an oregano-like flavor and odor. 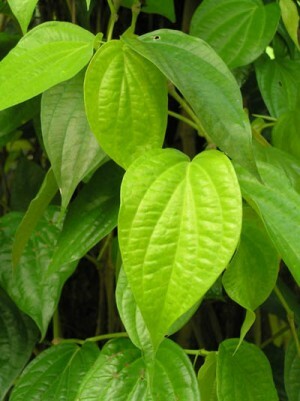 In India the leaves have many medicinal and ayurvedic applications. Known as Ajmo or Ajmet in Gujarati, Panikoorka in Malayalam, Vaamaku in Telugu, Doddapatre in Kannada, Pathurchur in Marathi, Patta ajwain in Hindi, and Karpuravalli in Tamil, it is used for treating cold, cough, and fever in infants. In Maharashtra and Andhra Pradesh the leaves are dipped in chick pea batter and fried like pakoras(bajjis). Around the world the names include Cuban oregano, Spanish thyme, Oregano Brujo (Puerto Rico), Indian Borage, Hung chanh (Vietnam), Mexican thyme, Big Thyme (Grenada) and Mexican mint. The extract has been used to treat asthma,dyspepsia, chronic coughs,bronchitis,colic,flatulence and rheumatism. The recommended dose is 1 Tablespoon, 4 times a day. Can be infused and drunk like tea. The poultice of leaves can also be applied directly to boils, carbuncles and swelling, and the pure juice has been poured into the ear to treat earaches.